Are your trees in need of a bit of TLC? 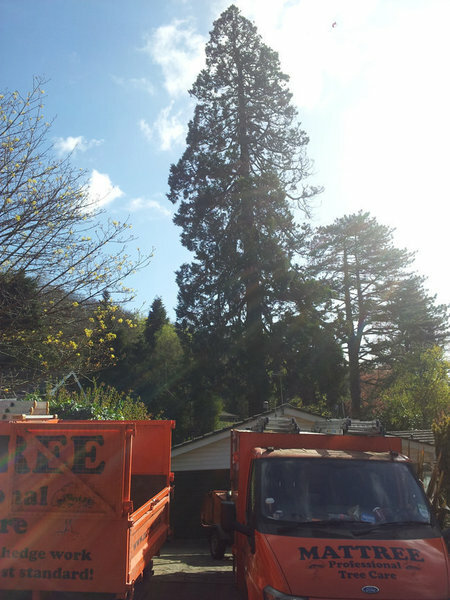 Want a professional Tree Surgeon to take care of them for you? 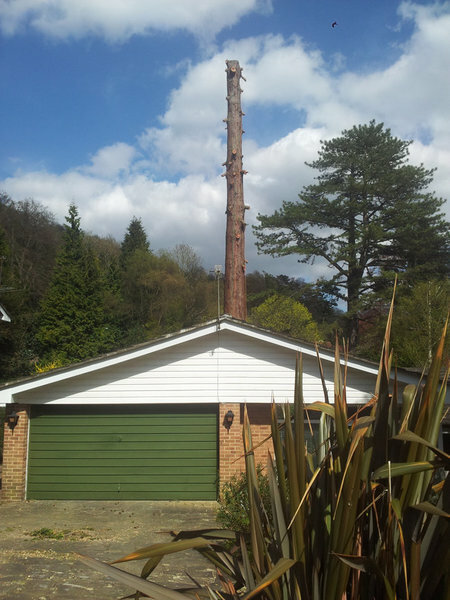 Call Mattree Professional Tree Care in Banstead today for professional and friendly advice! 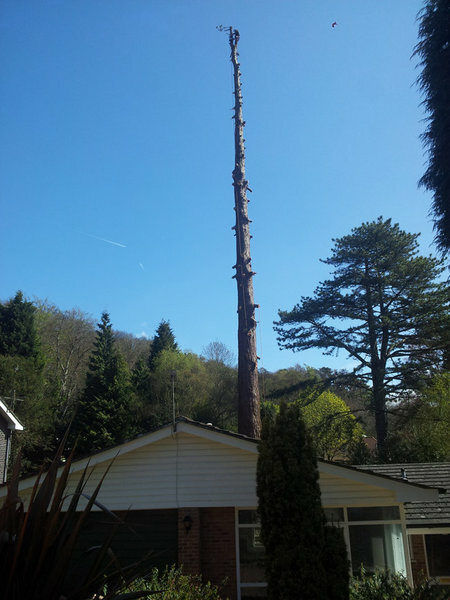 If you are tree owner it is sensible to have your trees examined, by a professional tree surgeon, to find out if they are currently in good health. Recognising problems early on and using the proper treatments can deter any forthcoming health issues. By having continuous care you will be safeguarding the health of a tree or hedge and it will continue to look good and free from disease. If there are mature trees in an area where the public have access, it’s advisable to have the trees checked to safeguard the public while in this vicinity. Any work undertaken is done so with the upmost care for wildlife and the least possible disturbance to your garden. The area is always left spotless and in a shipshape condition. One of our neighbours had work done on their garden & were very satisfied, as were we. 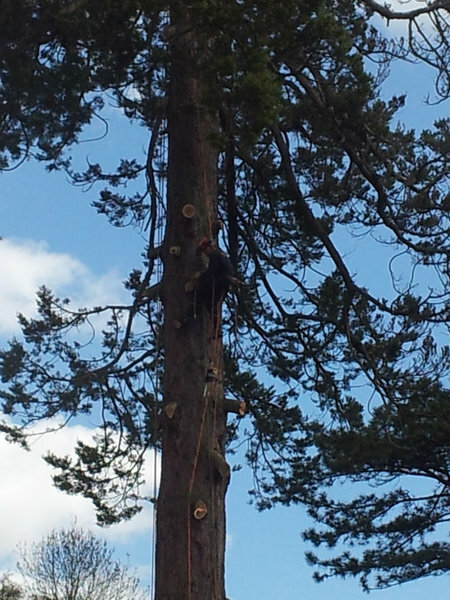 They trimmed back approximately 80" of fir trees. When I first enquired about having my Liquid Amber tree pruned, Matt immediately replied and quickly arranged a site visit. The quote came quickly and we agreed a date for the job. I then had to change the date and Matt was very accommodating and flexible. The job was completed last week by his team and they did a great job. As well as tidying up once the job was completed, they moved my bird bath and feeder back that they'd moved to prevent any damage. I can't recommend Matt and his team highly enough, and will be calling on them again next time the tree needs a trim. Matt kept in contact with me prior to the work being undertaken. He made helpful suggestions as to how to improve aspects of my overgrown garden, including the difficult removal of tree stump which was right against a boundary wall. On the day, he and his team arrived early. The team worked hard. They were polite, efficient and tidy and showed consideration to our neighbours on both sides. 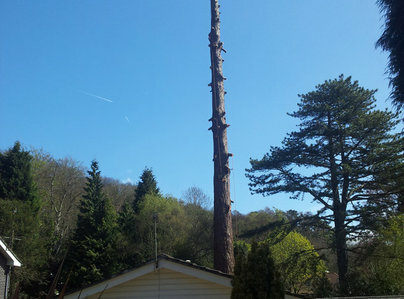 They cut back a number of trees and hedges and removed a dead tree which threatened to fall on our neighbour's garden. They worked swiftly and efficiently and cleared away all the rubbish, including some not generated by them. Matt also arranged to cut back ivy which overhung our neighbour's property, something which was not in his original estimate. I have employed a number if firms to cut back my trees in the past and I can truly say that Matt and his team are the only ones with which I have felt the most comfortable. I would have no hesitation in recommending him and his team. This is the second time that we have used the services of Mattree Professional Tree Care and we were very happy with the job that they did the first time. We asked him to recommended a tree for us and to plant it. He took us to a tree nursery and clearly explained how the tree that he was recommending would be suitable for our requirements Matt and 5 colleagues turned up on the day that we agreed and on time. They expertly pruned trees and some shrubs, removing all of the branches and left our garden tidy. He successfully planted a Portuguese Laurel Tree. We would use his services again. Second time I have used Matt. Always found him competitive, as good as his word. Gave start date and held to it despite heavy workload. Did the job well and cleaned up at the finish. A+. Friendly, listened to my requests, work carried out quickly and cleared up every scrap of tree and branch debris, would highly recommend. I have used Matt on several occasions in the past but this was the biggest job I have asked him to do. 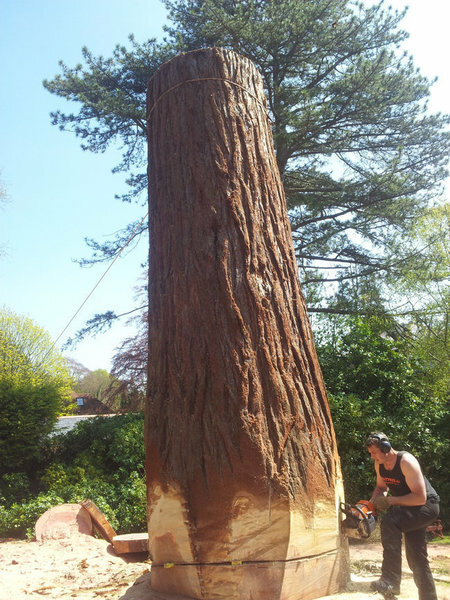 He and his team reduced the height and width of about 80ft of overgrown hedge, pruned 4 trees, cut down a very mature pine tree that was close to my house and ground out the stump. The team were safe, quick, polite and very efficient, leaving everything more neat and tidy than it was before they started. The work was completed over 3 days though most was done on day 1. I am delighted with the results - and I think the price was very reasonable for the work done. Matt obtained the requisite consent from the local authority to undertake work on a very large London Plane tree in our garden, which has a TPO on it. He and his team arrived early, were polite, efficient, tidy and considerate to our neighbors. They did an excellent job and the tree looks fantastic. This is the first time I have used him but had seen some of their previous work commissioned by the estate management company which, was also completed to a high standard. I wouldn't hesitate to use his firm again. Good Job at a Reasonable Price. Matt and his team did a very good and thorough job. All details were agreed before the start, the job was carried out quickly and efficiently (by a team of 6) and they finished early. Site was cleared and all rubbish taken away. They did exactly what they said, for the price agreed, very well. Pleased and would be happy to use again in a couple of years when everything has grown back. All arrangements made with ease. Work carried out to a high standard & great cheerful help.